We know that anyone can google a Gypsy Vanner horse and get the story about the heritage and facts about the breed. 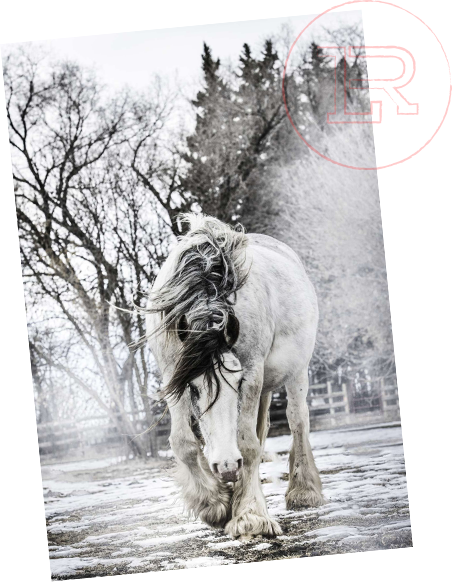 Some websites will differ slightly but for the most part everyone agree’s that the Romany or Travelers where first to breed the horses we call today in Canada and the US The Gypsy Vanner. You may hear them being called a Cob or Gypsy Cob, Irish Cob, or even the Tinker Horse. The name Gypsy Vanner was given to the horses when they first came to the United States in 1997. We know..it’s a relatively new breed to the US and Canada and compared to other breeds there are still few of them here. Let us tell you why…. The Gypsies where bred for many years in Ireland and England by what is known as the Romani people or the Pavee which means Irish Traveler. It is the only broken coloured horse breed in the British isles, so how no-one noticed these horses before 1997 is astounding, but that is truly how long it took for them to be brought to North America. From about 1850 traveling people in the British Isles began to use a distinct type of horse to pull their caravans or carts. The colour and look of the breed were refined in the years after the second world war. The Gypsies wanted a horse to pull their carts from place to place, but also be safe and babysit their children. Yes ..I said babysit their children. Gypsies are travelers who put all their focus on family and the bonds within them. Their children are the most important thing to them and their few possessions they traveled with needed to be pulled with the utmost care. Thus making the Gypsy the perfect breed. The Romani people took great pride in breeding a horse that not only was calm, quiet and dependable, but they also wanted their horses to look as outstanding as their painted caravans did. There are no paper records tracing back to the many other horse breeds they used to achieve the Gypsies we have now as the Gypsies did everything and still often do, by word of mouth. In 1998 when the first Gypsies were brought to the US, this all changed. There is now several breed registries for Gypsy Vanner horses and all of River Lane Ranch Gypsy Vanners are registered. 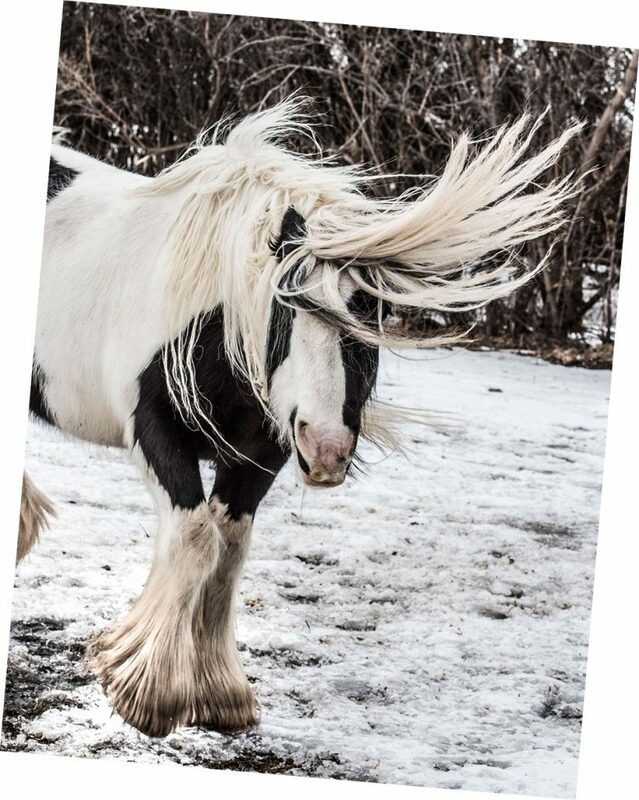 Let’s talk about the feather (hair) on the Gypsy horses and why it is important to mention. All horses with feather evolved from a prehistoric easygoing, hairy legged horse that lived in the forests of Europe called The Forest Horse. Feather (hair) being a recessive gene is also called an additive or cumulative gene. To develop a horse breed with more feather than any other horse required that the Gypsies only use breeds with feather, all evolving from The Forest Horse. This is the key to our program. Feather holds a genetic key to the breed’s easygoing personality and demeanor that all leads back to the Forest Horse, who was a cold-blooded draft. All cold blooded horses evolved from The Forest Horse. In short, the more feather the more laid back and calmer the horse should be. This works perfectly for our program Healing With Horses.